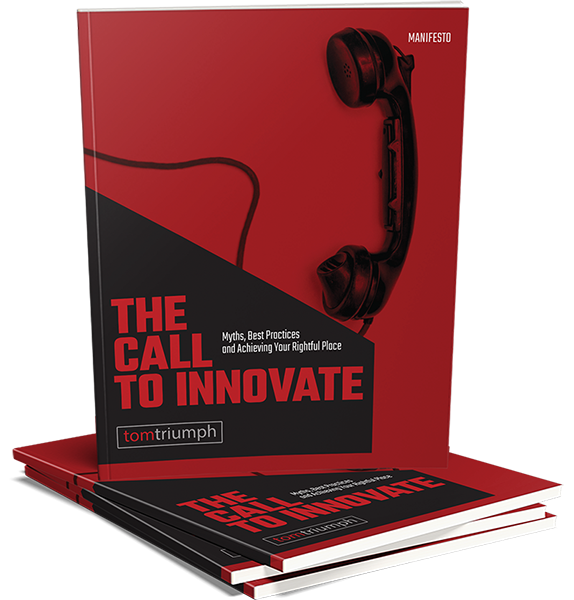 Tom Triumph helps companies grow by collaboratively helping them reinvent their business, their products, and their marketing. Along the way he’s helped large organizations act nimbly and small companies scale. Expand the thinking of what’s possible. Recombine what exists into something entirely new. Make it a habit to generate lots of ideas. Be inspired – you’re shepherding something important into the future. Know this – it’s hard work. You’re forging a new creation. If you want to build something really great everything matters. Collaborate intensely. Sweat the details. Continually ask how to improve the work. Tom is a dedicated, brilliant, innovative and studied business leader whom I would highly recommend for any business situation requiring a focus on growth and the strategies to enable it. I will help your organization improve it’s ability to drive innovation and leapfrog your competition, create a culture of creativity and streamline processes to significantly improve your business and generate revenue. It’s the difference between success and oblivion. What does your product or service hugely change? Compellingly and convincingly tell the story. Engage and impact. Strive for quality and clarity. What does success look like for your company? How will you go from point A to point B, and beyond? Your business strategy should allow you to remain nimble, yet deploy your resources for maximum gain.